If you’re a fan of the Disney version of Sleeping Beauty, then you probably remember the quote “Make it pink. 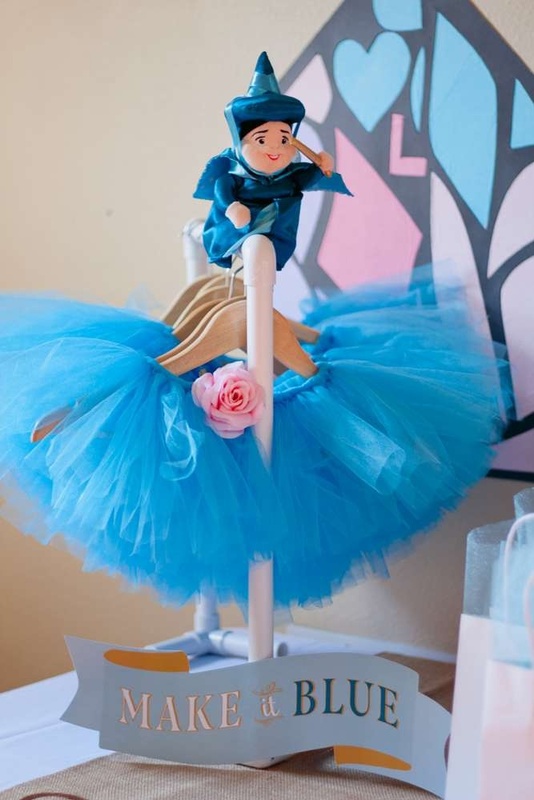 Make it blue,” — said as two fairies fight over the perfect color for Aurora’s birthday dress. We couldn’t help but think of this quote as we prepped for our pink and blue baby shower collections, realizing that the “make it pink, make it blue” concept is such a great idea for a gender reveal baby shower! By incorporating both colors, you’ll have guests on their toes until the big reveal — but remember to have them vote team pink or team blue to make the shower that much more fun! For inspiration on bringing this theme to life, check out our ideas below. 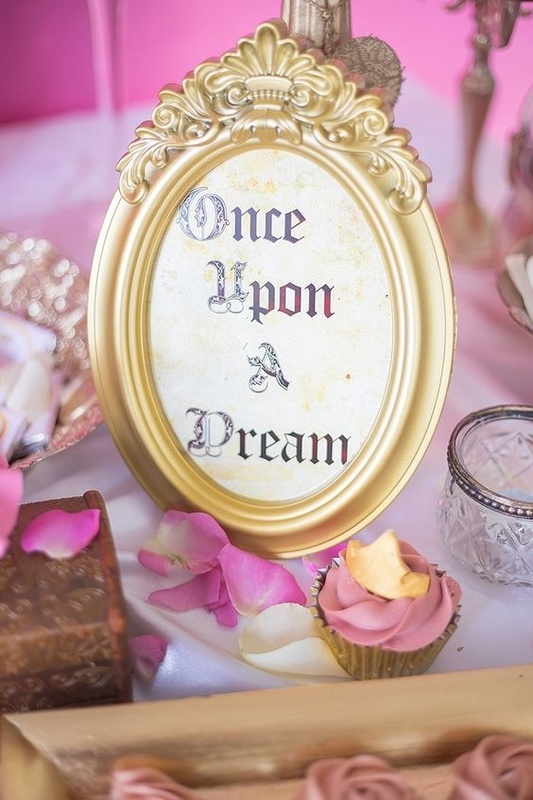 Having a baby is a dream come true — so why not play off of the classic Sleeping Beauty song “Once Upon A Dream”? Add the lyrics to picture frames, banners, and more. 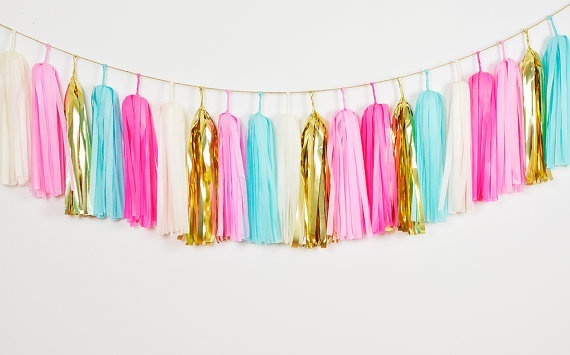 Tassel garlands make it easy to showcase all of your favorite colors, and we love how the one above turned out! 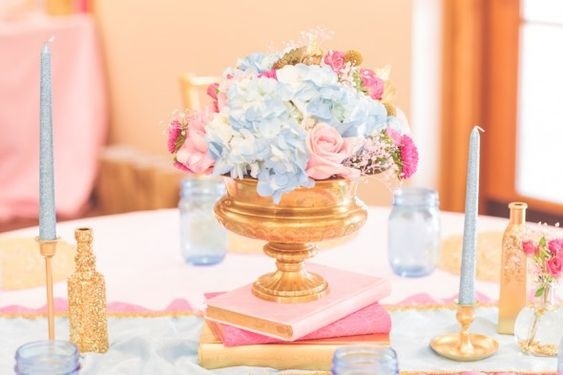 Along with blue and pink, we love the added gold — resembling Aurora’s crown. Here’s a fun idea for voting whether you’re on team pink or team blue — have guests wear a tutu, crown, or pin to resemble their guess. 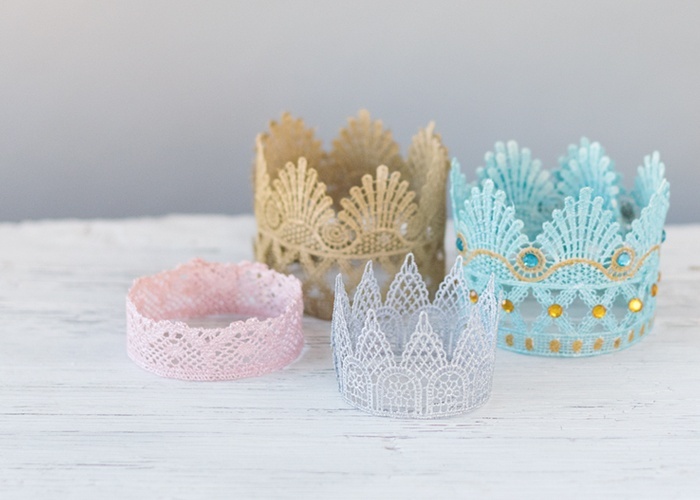 Since this is a party fit for princes and princesses, include a fun activity such as creating these DIY lace crowns. Again, these can be used as an indication for what gender the guests think baby is. 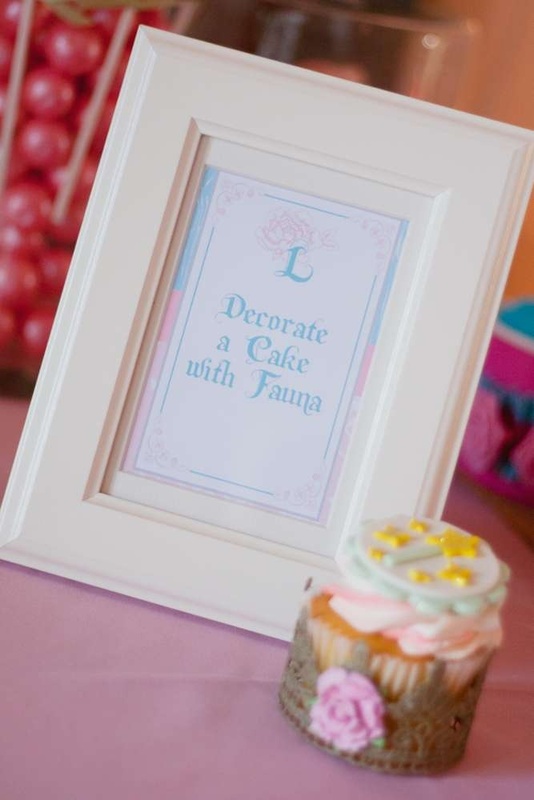 Remember the infamous lopsided cake that the green fairy Fauna makes? Take that concept and turn it into a fun cupcake decorating station! 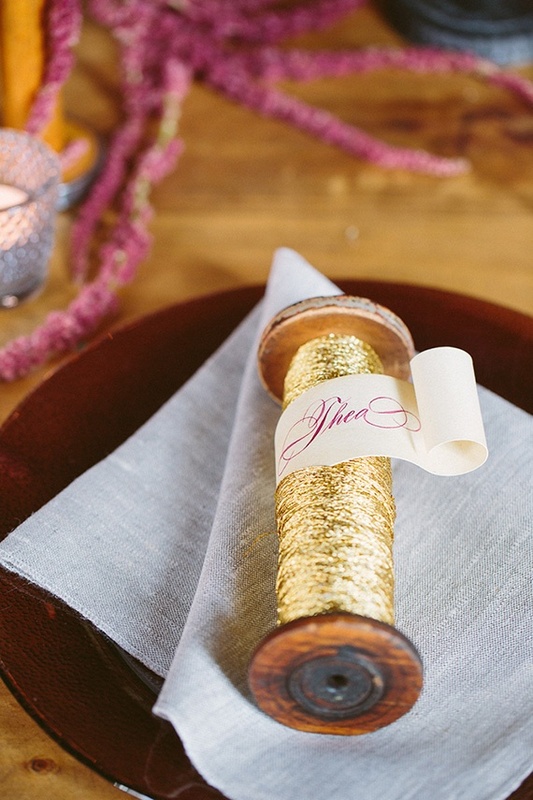 For a quirky touch, include spools of thread as decoration. 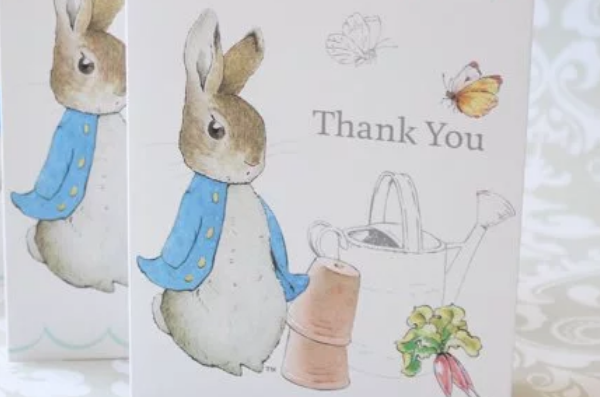 We love how pretty this idea is, as well as how it’s a simple nod to the spindle in the movie. 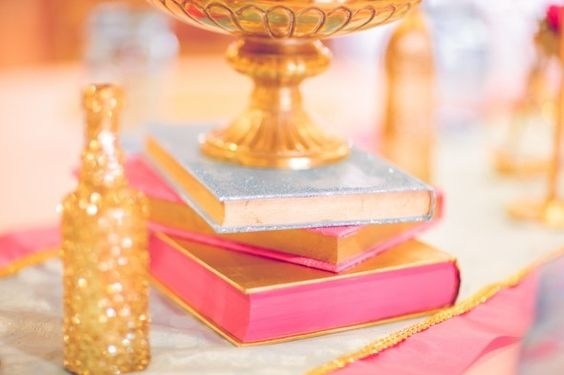 As a reference to fairytales in general, try using books as decor. Bonus points if they’re pink or blue! 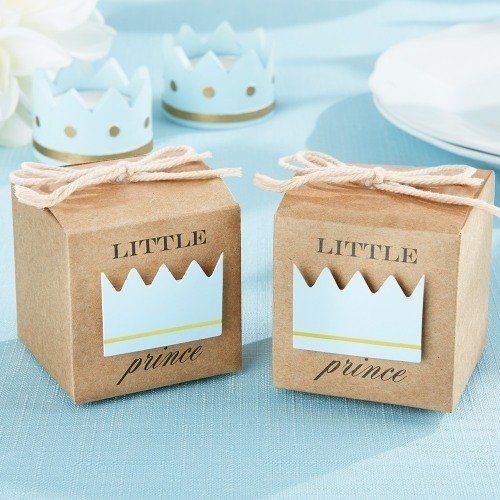 These little prince / little princess favor boxes make the perfect packaging for favors. But remember – don’t let guests see until the gender has been revealed! 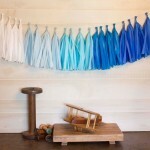 What do you think of this theme for a gender reveal baby shower?